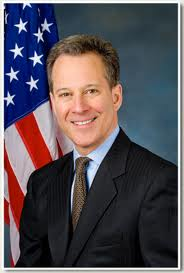 SYRACUSE, N.Y. (Legal Newsline) - New York Attorney General Eric Schneiderman announced an agreement Tuesday that will direct environmental penalty funds toward projects to reduce sewage overflows to Onondaga Lake and its tributaries. The agreement among Schneiderman's office, Onondaga County, the Atlantic States Legal Foundation and the New York State Department of Environmental Conservation will direct the funds from a 1996 court order against Onondaga County related to water quality violations at the Metropolitan Syracuse Wastewater Treatment Facility. "Just a few decades ago, Onondaga Lake was considered by some to be the most polluted water body in the country," Schneiderman said. "But its recovery since then has been nothing short of remarkable. Today, through the cooperation of state agencies and local government, water quality is improving, the ecosystem is recovering, and people are once again embracing the lake as an economic, recreational, and cultural treasure." The agreement provides funding to two projects: The Village of Solvay Erosion and Sediment Control Project and the Green Infrastructure Demonstration Project in the Near Westside neighborhood of Syracuse. The projects will both enhance the ongoing work in the county to reduce sewage overflows and improve water quality in Onondaga Lake. The Village of Solvay Erosion Project is estimated to cost approximately $93,505 and the Green Infrastructure Demonstration Project is estimated to cost approximately $250,000. The court approved the projects by order and stipulation.